A mountainous, beautiful island, Corsica lies in the Mediterranean Sea, off the southeast coast of France. 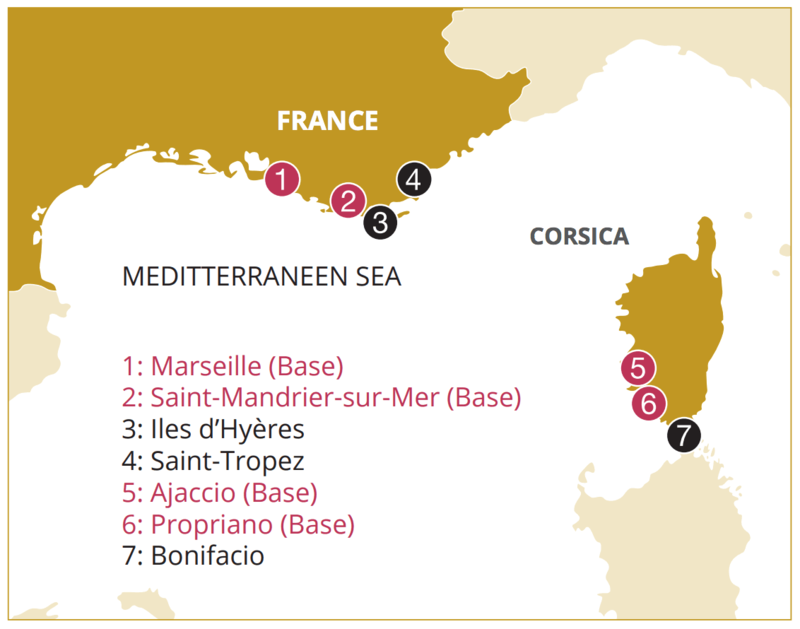 A French-owned region, Corsica boasts influences of both France and Italy in its cuisine, culture, and architecture. With countless offerings both onshore and in the surrounding waters, Corsica is a true gem of the Mediterranean, and visited by thousands each year. Corsica is an ideal destination for those who love the sea. Sailing, scuba diving, snorkeling, and swimming are all popular activities in this area. 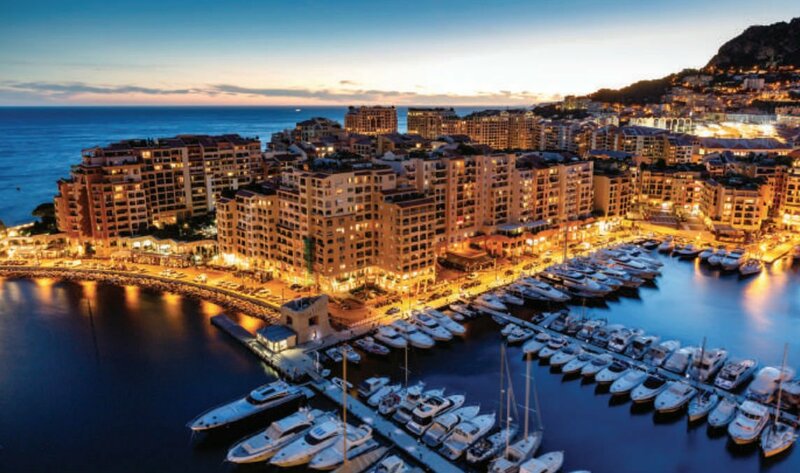 With 385 miles of coastline, your Corsica yachting holiday will be an endless adventure of new spots to discover. Along the coast you’ll find over 200 beaches for a sunny picnic or a sunset stroll. On some of the busier beaches you’ll have the opportunity to try your hand at windsurfing or kitesurfing. Fishing is also excellent here on Corsica. Corsica has an ideal climate and is popular particularly in the summer months. It’s fairly easy to get to the island from mainland France, with frequent ferries arriving from Nice. 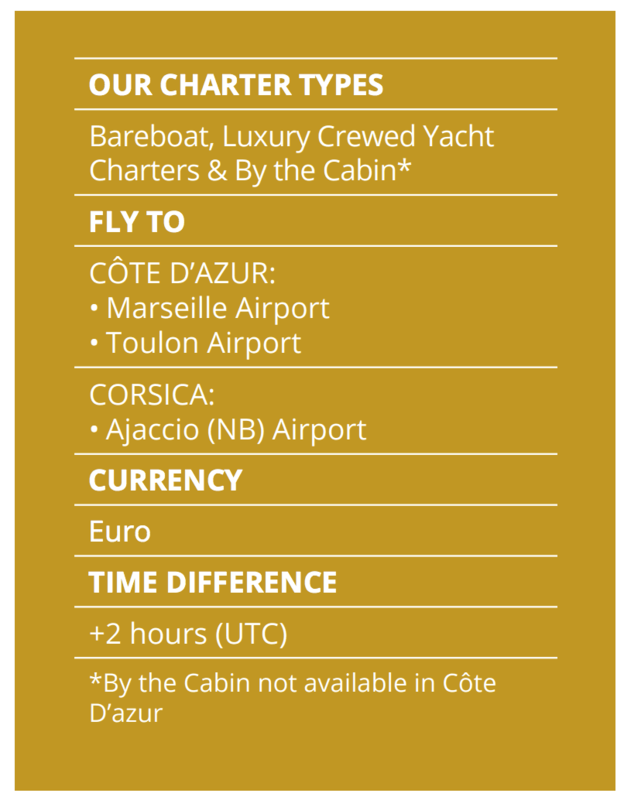 Alternately, you can fly directly into one of Corsica’s 4 regional airports. 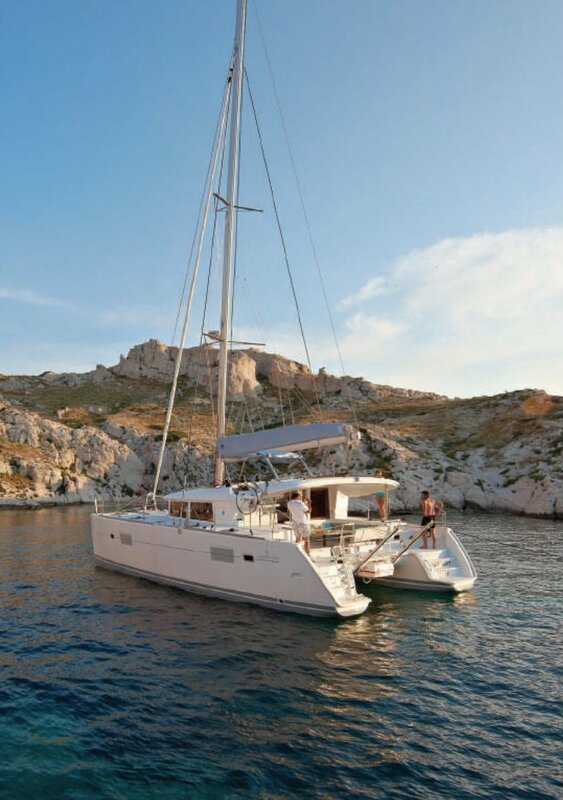 On Corsica, Dream Yacht Charter has its base at the accessible Macinaggio Marina. When you desire a break from sailing the pristine Mediterranean waters, head inland for some of Europe’s best hiking. Among its numerous walking trails, Corsica is home to the Grande Randonnée (GR 20), a lengthy trail which traverses the island and takes around 17 days to complete. Corsica is the most mountainous area in the Mediterranean. These mountains share their home with lush oak forests and splendid tropical flora. Corsica has nicknames such as “the scented island” and “island of beauty” due to its fragrant vegetation and spectacular scenery. Corsica truly has an invigorating atmosphere. There are plenty of nature reserves for the animal lover. Endangered animals such as the mouflon (a mountain-dwelling sheep) and the Corsican red deer live amongst the hillsides. In addition, you’ll find dolphin and whale sanctuaries in the surrounding waters. It’s easy to see why Corsica is one of the most inviting Mediterranean destinations. 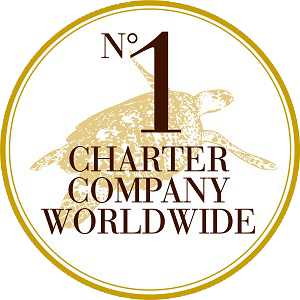 Your relaxing and pleasure-filled yacht charter on this incredible island is sure to be a holiday you’ll remember for years to come.